Universal pocket-sized emergency battery for all smartphones. It allows to charge your smartphone and avoid battery failure, which usually occur at the most problematic moment! Simply plug your phone with the cable to the battery, and press the button. It is easy and so useful! Never run out of battery anymore! Universal pocket-sized emergency battery for all smartphones. 4400 mAh - allows to charge fully the iPhone and other smartphones at least 2 times. The 1.5 A output allows a speed charge of smartphones. Micro USB cable included. LED indictation of charge level (4 levels). 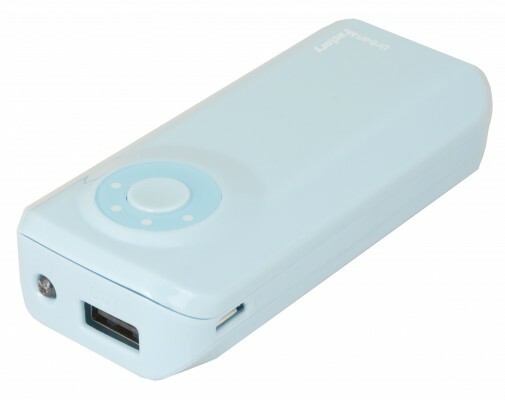 Compatible GPS, PSP, MP3 Players... With a small LED torch integrated!